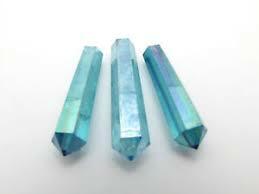 History/Mythology: An Aqua Aura is created by putting a fine layer of gold onto a clear quartz crystal. This is done through a process of placing the clear quartz into a super-heated vacuum and the bonding a layer of gold to the outside. This process forms a permanent bond with between the gold and the clear quartz and by doing so combines the vibration of both to form it’s own unique vibration. 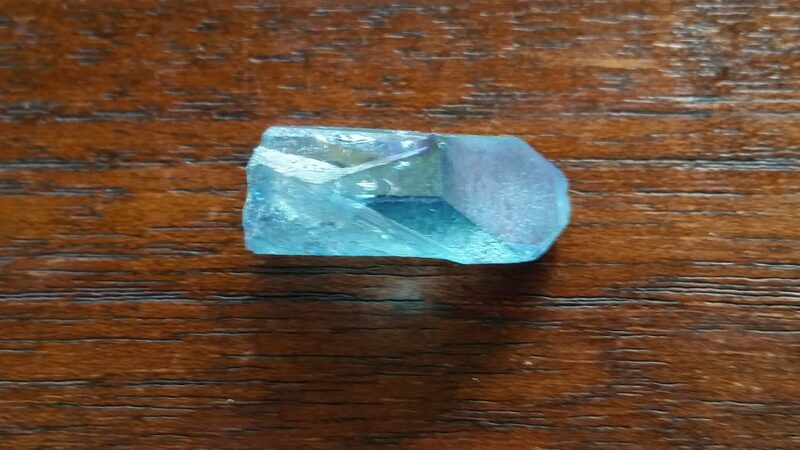 Please note the best grade of Aqua Aura currently come out of the USA. Aqua Aura has a very high and intense vibration and is particularly good when working with your higher chakras. It helps releases negativity from the emotional and physical bodies. Is a wonderful stone to use in order to cleanse the aura as it helps to release stress and repair any damage within your aura due to holes or gaps. Helps us to relieve stress and depression, calms anger, cools fever, attracts wealth and allows your inner beauty to blossom and come to the surface. Auqa Aura allows you to connect and increase your physic abilities. Healing – cools fever and is considered an all over healing stone particularly when combined with other stones. Can be used in all meditations and will assist in quickly raising your vibration. 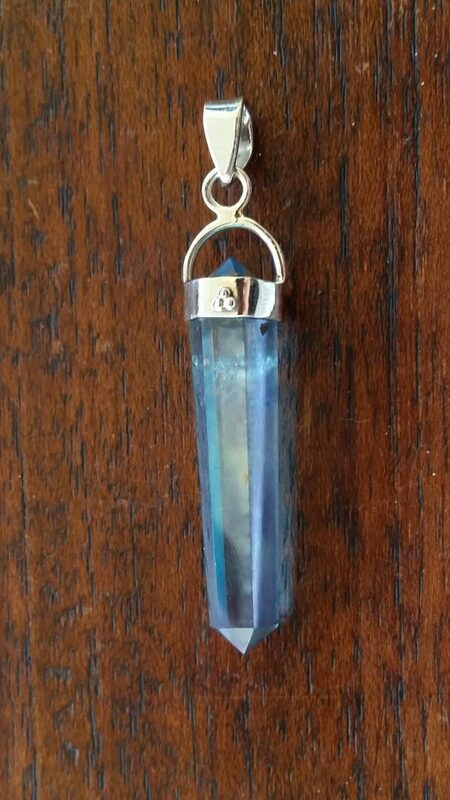 Wearing a piece of Aqua Aura particularly as a pendant is a great way to utilize this wonderful stones vibration on a regular basis.